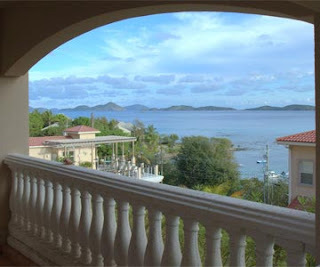 Interval International, a prominent worldwide provider of vacation services, recently presented The Grande Bay Resort and Residence Club, a vacation ownership property in St. John, U.S. Virgin Islands, with the Interval International Premier Boutique Resort® award for 2013. The annual award recognizes resorts that provide outstanding vacation experiences with excellent accommodations in desirable locations. “Grande Bay features a unique setting just steps from all of the attractions of downtown Cruz Bay and offers luxurious accommodations in one of the most exclusive Caribbean destinations,” explained Neil Kolton, Interval’s director of resort sales and service for the Caribbean. “We’re delighted to recognize the property and its wonderful team with this well-deserved award.” Kolton said. “Our success is a testament to the hard work of our management and staff who dedicate themselves to continually providing unforgettable vacations for our valued owners and guests,” said Paul Helson, general manager of The Grande Bay Resort and Residence Club, and a 35-year veteran of the hospitality industry. Tucked into a hillside, the Mediterranean-style property offers panoramic views of neighboring St. Thomas to the west and the British Virgin Islands 15 miles to the east. The resort features one-, two-, and three-bedroom villas, ranging in size from 550 to1,680 square feet. Spacious interiors feature living areas surrounded by floor-to-ceiling windows and balconies, elegant wood furnishings, fully equipped kitchens, and state-of-the-art electronics. On-site amenities include a heated pool, hot tub, fitness center, wireless Internet access, and underground parking. Members and guests also can take advantage of pre-arrival grocery shopping, complimentary pick-up from the ferry terminal, twice-weekly housekeeping, and a full-time concierge that can arrange a variety of excursions.